Dr. Kerry Solomon performed South Carolina’s first LASIK procedure in 1996, and as technology progressed, its first iLASIK procedure. It’s no surprise that he is known as the best surgeon in the area for LASIK. In fact, a significant percentage of Dr. Solomon’s LASIK patients come to him as a result of a positive recommendation from one of his past patients. His reputation for superior results and exceptional care has spread throughout the southeastern U.S., and he routinely performs LASIK eye surgery on patients from Charleston, Myrtle Beach, Goose Creek, Johns Island, and Kiawah Island, SC; Asheville, NC; Savannah, GA, and beyond. Why do patients travel from great distances for LASIK eye surgery by Dr. Kerry Solomon? You’ll understand when you come in for an evaluation. You can request an appointment using our online form, or call our office at 843-620-2020 and one of our knowledgeable staff members will schedule your appointment. We assess your overall eye health, capture detailed measurements of your vision, and determine if you are a good candidate for the procedure. If you’ve been considering LASIK there is no reason to wait. Visit our offices in North Charleston, Summerville, Mt. Pleasant, and West Ashley, SC. "...After wearing contacts and glasses for nearly 31 years, I still surprise myself with how well I can see...."
Although LASIK is the safest elective procedure in the world, Dr. Solomon understands it’s natural to be nervous about eye surgery. He appreciates that his patients entrust him with one of their most prized possessions: their eyesight. His dedication to optimal patient safety, comfort, and results is what has motivated him to stay at the forefront of LASIK research, technology, and innovation for more than 20 years. Dr. Solomon is perennially one of the “Top 50 Opinion Leaders” in the fields of cataract and refractive surgery, and he was the 2016 President of the American Society of Cataract and Refractive Surgery. 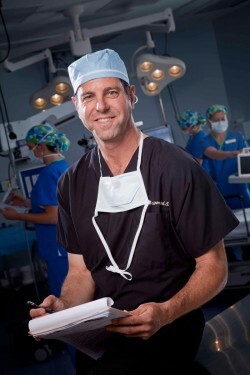 He serves as the director of the Carolina Eyecare Research Institute, which tests and improves technologies and techniques for LASIK and other procedures. Read more about Dr. Solomon and his credentials. As an internationally recognized authority on LASIK surgery, Dr. Solomon routinely trains surgeons throughout the world on the latest technology. As a result, his patients often benefit from advanced technology, in many cases before it is available anywhere else in the region or the U.S. For example, Dr. Solomon is the first surgeon in the U.S. to have the equipment and training to offer topography-guided LASIK. His is also one of the first practices in the country to feature the 500 series WaveLight® EX500 Excimer Laser. The latest technology is important, and it can improve your outcome and satisfaction with your LASIK procedure, but it’s the surgeon’s talent behind the technology that truly makes the difference. Dr. Solomon has extensive surgical experience you can trust. His focus is on you and developing a customized surgical plan, when appropriate, to best meet your needs. Dr. Solomon’s passion is patient care, and improving lives through vision correction. He works tirelessly with his team to ensure that your LASIK experience is not just comfortable, but enjoyable, and that you are not simply satisfied, but thrilled. Maybe that’s why so many of his patients tell their friends and family that, for LASIK, Dr. Solomon is the only choice.